We’re excited to introduce our first-ever cohort of the AVODAH Fellowship, a leadership development and community-building program for early career Jewish professionals working to alleviate poverty in the United States. The newest members of the AVODAH network come from a diverse range of highly respected organizations, including City Harvest, Planned Parenthood, the Innocence Project, and Bend the Arc. Over the coming months, the Fellows will focus on community-building, leadership development, and studying the dynamics of poverty, while connecting their work to Jewish values. In addition, they will participate in joint programming with members of our Service Corps, and ultimately, will join our extensive alumni network of antipoverty leaders. 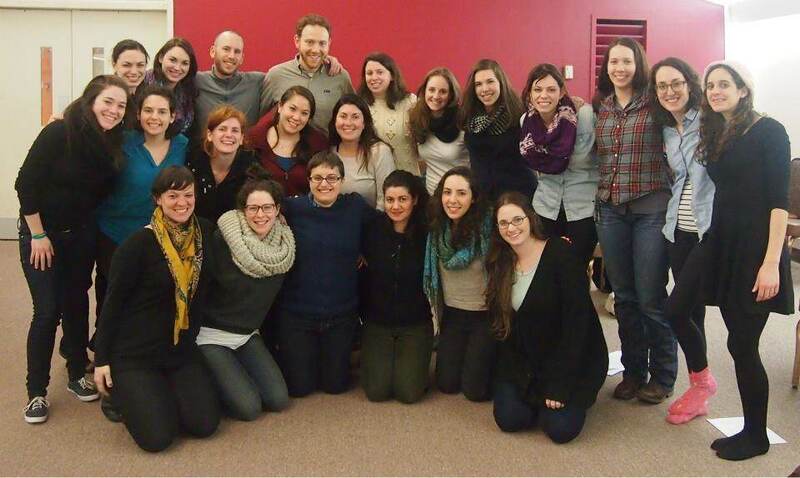 Click here to meet our Fellows, and stay tuned for updates from AVODAH. The AVODAH Fellowship is generously supported through grants from The Charles and Lynn Schusterman Family Foundation, The Jacob and Hilda Blaustein Foundation, The Brenner Family Foundation, The Dorot Foundation, The Gimprich Family Foundation, The Righteous Persons Foundation, and The Samberg Family Foundation. In addition, we are grateful to the members of the AVODAH Fellowship Founders’ Circle for their early and generous support of this initiative: The Laurence and Carolyn Belfer Family Foundation, Jules Bernstein and Linda Lipsett, Rabbi/Cantor Angela and Jacob Buchdahl, Lori Cohen and Christopher Rothko, Craig Emden, Debbie Goldman, Fran Goldman, Seth Goldman and Julie Farkas, William F. Gorin, Sally Gottesman, Lori Grey, Steven and Lynette Koppel, Sanford and Carol Krieger, Sheila and Bill Lambert, Rabbi Joy Levitt, Dr. Jacqueline Mondros, Abigail Pogrebin and David Shapiro, Benetta Mansfield and Kalman Resnick, Rabbis Jennie and David Rosenn, Saul Schapiro, Sheryl and Barry Schwartz, Wendy and Jeffrey Schwarz, Gene Sofer, Jonathan Springer, Susan and Jeffrey Stern, Ruth and Andrew Suzman, Rabbi Lewis Warshauer, and Una Chae and Jonathan Zucker.